was born in 1936. After leaving school he worked briefly in Malaya as a N.C.O. training and treating dogs as well as training officers and men in running a dog school. This was followed by seventeen years of practical farming culminating in the position of farm manager. Ivor then became an Agricultural Sales Advisory Representative, training staff and developing new products. In 1969, Ivor settled in Ivybridge with his wife Pauline. They were both avid collectors, ranging from glassware, miniature toys, old paintings and photographs. Together they ran the local youth club whilst Ivor became Chairman of Ivybridge Garden Association. In 1973, Ivor revived the town’s carnival and became Secretary and later Chairman of the Carnival Committee. He also re-started the Thursday Market in Glanvilles Mill as well as becoming Chairman of Governors at Erme Primary School. From 1980 he served on the local Town Council as their representative for the elderly, bringing their opinions and problems to the attention of both the Town and District Councils. Ivor later became Chairman of the Ivybridge and District Ring and Ride Bus, a service which provided transport to the elderly residents of Ivybridge and an opportunity to meet others. In 1988, Ivor became deputy mayor of Ivybridge and together with the serving mayor, formed the Ivybridge Historical Society. This led to the brief existence of a museum located in Costly Street. The society later merged with Ivybridge Amenity Society to become Ivybridge and District Civic Society which Ivor represented as Chairman. This society reviewed the past, present and future of Ivybridge, providing talks and demonstrations, producing monthly newsletters and booklets and providing access of local artefacts to the community. 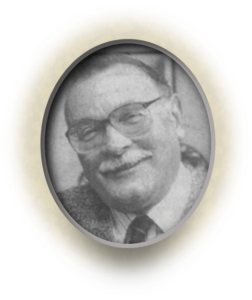 Ivor’s passion for collecting documents, photographs and artefacts meant he became a leading authority on the history of Ivybridge. He often offered assistance to others tracing family trees and researching aspects of Ivybridge. As a local historian, Ivor regularly contributed columns to local newspapers and he later went on to produce three books documenting the rich history of Ivybridge. Thanks to the co-operation and generosity of his daughter, Ivybridge Heritage & Archives Group were able to acquire Ivor’s extensive collection of photographs and historical documents relating to Ivybridge. These are now held within the growing archive, under the title of the “Ivor Martin Collection” and will ensure his contribution to the historical research of Ivybridge will not be lost. Ivor Martin was born in 1936. After leaving school he worked briefly in Malaya as a N.C.O. training and treating dogs as well as training officers and men in running a dog school. This was followed by seventeen years of practical farming culminating in the position of farm manager. Ivor then became an Agricultural Sales Advisory Representative, training staff and developing new products.